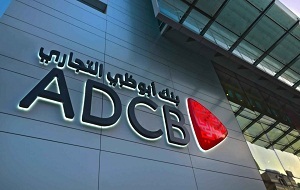 Abu Dhabi Commercial Bank, ADCB, today reported its financial results for the nine month period ended 30th September 2016. Ala’a Eraiqat, Member of the Board and Group Chief Executive Officer, commented on the results, saying, “The bank delivered strong financial results for the nine month period of 2016, reporting a net profit AED 3.153 billion and an industry leading return on equity of 16%. While the challenging operating environment and the turbulent markets have impacted the industry, our underlying performance and fundamentals remain strong and we continue to grow our businesses. Our balance sheet remains resilient and registered a healthy growth in net loans and customer deposits year to date, 10% and 7% respectively. “We continuously work to build loyalty and earn trust. Our consistent good set of results and profitable growth in a range of economic scenarios is a reflection of the trust that our clients place on us. In September 2016, ADCB was ranked amongst the top 5 safest banks in the Middle East and Africa by Global Finance, in addition to numerous prestigious awards won during this quarter, including “Best Cash Manager” by Euromoney for our world-class cash management services. “We have confidence in the long-term growth of the UAE economy. UAE is well positioned and poised for sustained growth in the future. We have a strong franchise and continue to deliver enduring value for all our stakeholders,” he concluded. He went on to say that the bank’s balance sheet remains strong with continuous focus on granular loan growth. Year to date, Wholesale Banking loans (gross) were up 5% and Consumer Banking loans (gross) were up 9%. Capital ratios remain robust and the low cost CASA deposits comprised 42% of the bank’s total customer deposits as at 30th September 2016.